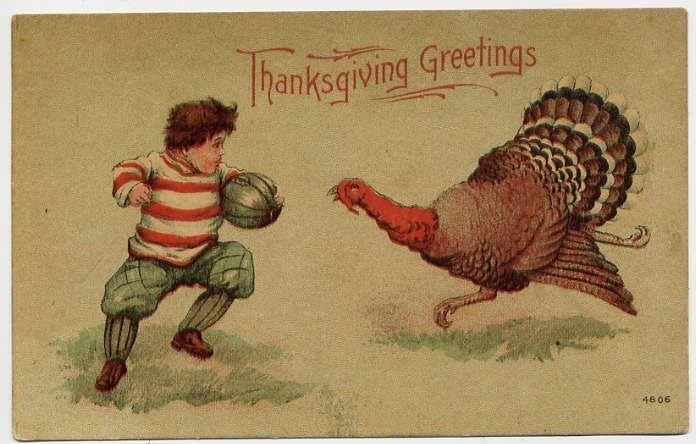 Thanksgiving, or Thanksgiving Day, is a public holiday celebrated on the fourth Thursday of November in the United States. The holiday is the perfect opportunity to catch up with friends and family, eat some turkey and indulge in some pumpkin pie before the Christmas season. But Thanksgiving does not always go as planned especially if you get sick with the flu or gastroenteritis (sometimes called “stomach flu”) or food poisoning. Any of these common illnesses can put a quick end to Thanksgiving festivities. A study looking into 18 gastrointestinal illness complaints in people who ate Thanksgiving Day dinner at a restaurant in Tennessee in 2017 found that contamination happened after one customer vomited in a private dining room and an employee used disinfectant spray (labeled as effective against norovirus) to clean the area. The employee then, after washing hands, served family-style platters of food and cut pecan pie. The investigation by the US Centers for Disease Control and Prevention (CDC), Vanderbilt University Medical Center, and Tennessee Department of Health was published in the latest issue of Morbidity and Mortality Weekly Report (MMWR). The restaurant served 676 people that day but health officials were provided with contact, seating time and location information for over 100 customers who had reservations. Subsequently, health officials were able to enroll 137 (20% of the 676) in a case-control study. Stool specimens confirmed norovirus in two patients as well as in an environmental sample collected from the underside of a table leg near where the customer vomited. Of the foods that customers ate, only pecan pie was significantly associated with illnesses, but only 16 of 34 patients had eaten it. The investigators concluded that norovirus probably spread through the restaurant by multiple routes and that inadequate employee hand washing probably facilitated foodborne transmission through servings of pecan pie. 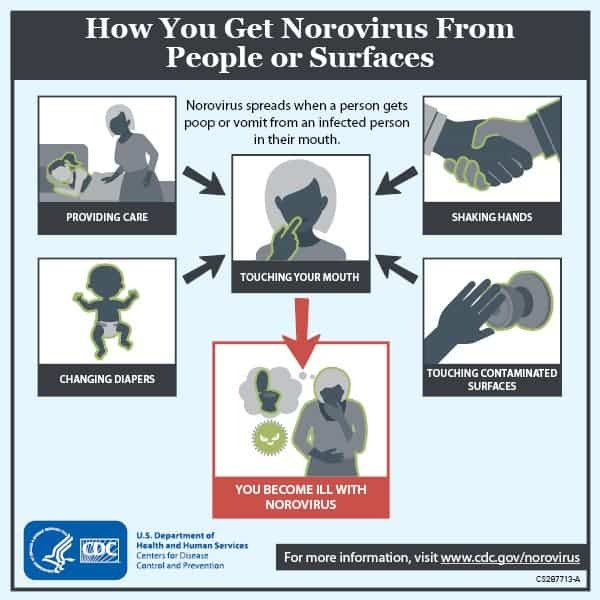 The point-source norovirus outbreak occurred after the infected customer vomited, transmission near the vomiting event likely occurred by aerosol or fomite. Norovirus spread throughout the restaurant could have occurred by aerosol, person-to-person, fomite, or foodborne routes. According to the CDC, norovirus is responsible for 58% of foodborne illnesses in the US. In recent years, the majority of foodborne norovirus outbreaks occurred in restaurants, often related to an infected employee practicing poor hand hygiene and subsequently serving food. Norovirus cannot be completely inactivated by many common sanitizers and disinfectants used at manufacturer recommended concentrations or contact times. Norovirus infection can recur even after thorough cleaning and disinfection. Every year, foodborne norovirus illness costs about $2 billion, mainly due to lost productivity and healthcare expenses in the United States.